dull roar: The ugliest, and also awesomest things ever. It is cold here, and I have particularly...wimpy extremities, temperaturewise. I was missing the sheepskin slippers I had as a kid. The answer was obviously thrummed slippers. Et, voila! I am not going to write up a pattern since these are far from perfect (though very sufficient) but I will give you a vague outline, because they are SO COZY and your feet want them, trust me. When they wear out, I'll make a better pair, and write that one down maybe. 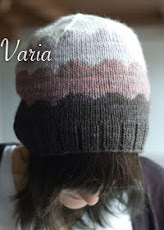 -Start with a bulky, wool yarn. I used Ironstone Harmony. Also, you need a bunch of unspun wool. Use whatever needles work best. -Cast on very few stitches and increase kind of like you would for a top down hat...about 6-8 stitches every other row. When it gets big enough to go around your feet comfortably, stop increasing. -Thrum as you please- I did every 5 stitches, every 5 rows (staggered)...but I wish I'd done more, they are not as wooly inside as I would've liked. I wanted 'em REAL wooly. Ideally they'd be wooly enough that the insides would felt up nicely over time and leave the slippers a bit sturdier than they are now...they are pretty floppy at the moment. -When you get up to your ankle, bind off a bit less than third of the stitches (I did 8, for 30 stitches total, and 6 might have been preferable) and keep working, flat now. -When the flat part is long enough to wrap your heel in, split the stitches in half and do a 3 needle bind off (on the inside.) And now make another. Hooray!! I also would recommend sewing a leather sole on, these are REALLY slippery and I don't want to be liable for any horrible accidents. 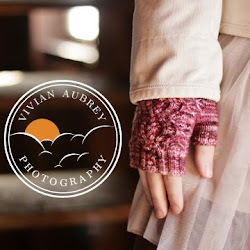 These are awesome and look so cozy - thanks for the instructions - I will be attempting my own soon! I have just been complaining about cold feet and I have tons of fiber around, hmm. As for insufficient thrumming, what if you got one of those enormous plastic yarn needles and duplicate stitched in some more? Or, heck, a crochet hook to pull the ends through. I love these. They're not too ugly. Maybe use colorful thrums instead? Thanks for the, er, pattern-ish. Hey- I saw these and they inspired me to make these slippers: http://www.ravelry.com/projects/molwick/the-warmest-best-slippers-ever ... I knit them up from the back to the front a little differently than yours, but I took your advice and thrummed more often. They are so very cozy! Thanks for the inspiration! These slippers are the BEST! I don't think they're ugly at all. Love them. Gonna have to make a pair! Thanks! I'm making a pair as well. I just took a basic sock pattern and knit it with worsted weight yarn instead of sock yarn so there is space for the thrums. I'm going to buy some of that rubbery puffy fabric paint to apply to the bottom of mine so that they won't be slippery.